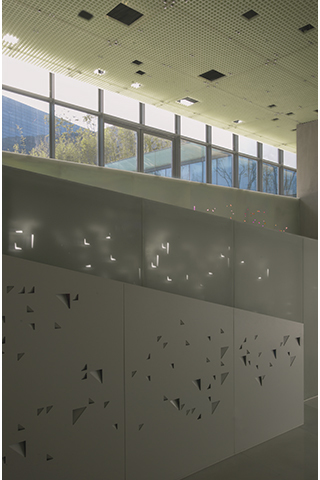 A set of digital codification has been on Taihu Stone in the process of object making of the poolside seating and wading pool, the perforation pattern of the windows, wall & ramp lighting. The result is a nue-interpretation of the traditional garden found object shower with rainbow fragments. The swimming complex is one of the major staff recreation facilities at this giant property group headquarters - Vanke Centre The master architect of this headquarters building sets all the public serving sectors below ground. 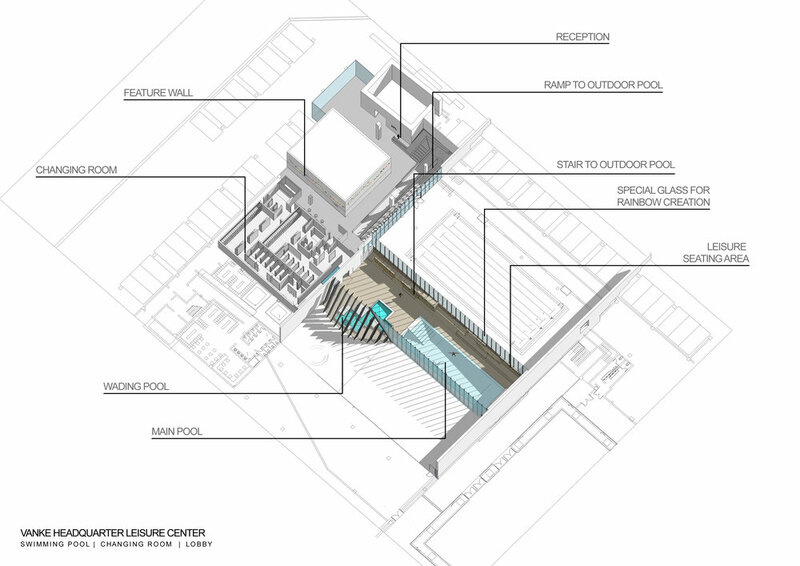 Among them is a swimming complex, which consists of one outdoor and two indoor pools, and a reception foyer that connects the in/outdoor pools as well as a lift core from the main buildings above. 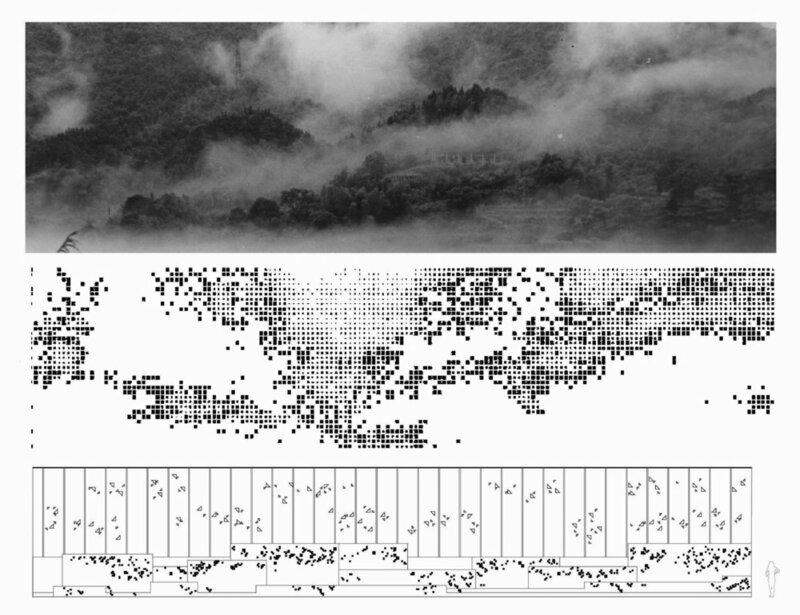 While the master architect takes reference of the works of a Brazilian landscape artist to pave a series of void in the ground plate, our inspiration is rooted in the landscape object of traditional Su-Hang (a region of cultural hub of ancient China) gardens - Taihu Stone - a cloud like stone that crystallise a duality of weight and lightness, hard and softness, fluidity and stillness. We applied a set of digital codification on Taihu Stone in the process of object making of the poolside seating and wading pool, the perforation pattern of the windows, wall & ramp lighting. The result is a nue-interpretation of the traditional garden found object shower with rainbow fragments. 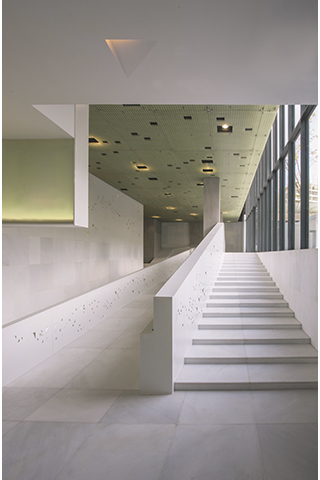 The major material of the reception foyer and indoor swimming pool is imprinted with intangible design element, which either/both responses to the time of the day or/and the seasons via the sunlight. 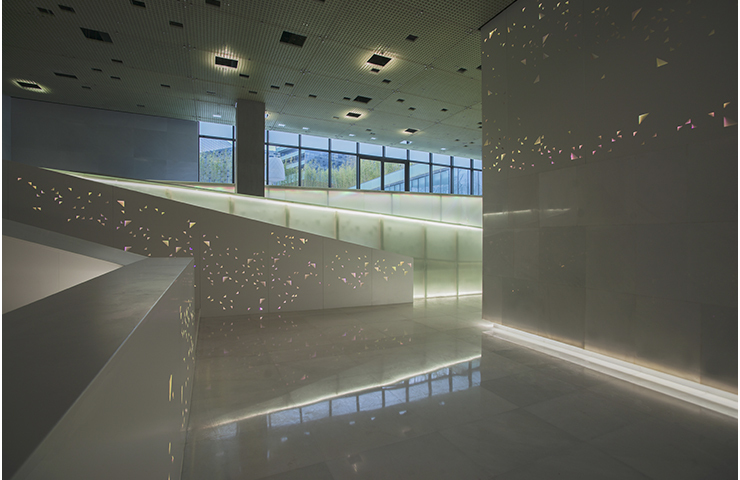 An special angle film is installed on the balustrade and wall cladding of the reception foyer that diffuses the light source into a spectrum of subtle changing colour light. 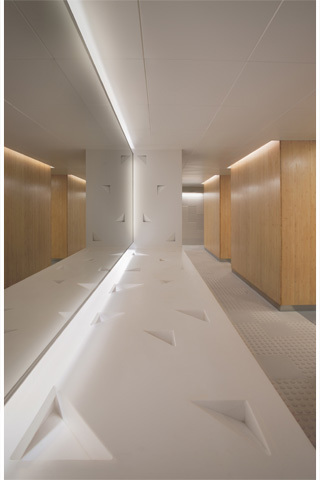 Whereas the glazing of the indoor swimming pool, a layer of carved plexiglass is installed to refract sunlight into pieces of rainbow that dance with different seasons.